This post originally published on September 13, 2013. We’ve updated it here with the latest information, images, and resources. They’re cute. They’re funny. They’re profitable. Emojis are a global craze. And localization matters for them, too. In this post, we’ll show you how smart localizing has helped emojis spread around the world. It all started in Japan. In the 1990s, Japan’s largest mobile phone operator, NTT DoCoMo, launched a new model of pager. Along with the usual typing options, the pager included a heart-shaped symbol that users could send to each other. The simple pictograph soon became one of the device’s most popular features—and the emoji phenomenon was born. In the early days of emojis, symbols had different encoding systems across different platforms. When Google and Apple standardized UNICODE, they made it possible for the emoji to jump to global prominence. In its 2011 iPhone release, Apple introduced the first emoji keyboard. Before long, people around the world were using them. Want to get a sense of how popular emojis actually are? As of the writing of this post, 11 billion tweets have contained emojis, and hundreds more are appearing every second—data we can track thanks to Emojitracker.com. When U.S. President Barack Obama welcomed Japanese Prime Minister Shinzo Abe to the White House in April 2015, he expressed his thanks for “manga and anime, and, of course, emojis.” In short: the emoji has made it big. Emojis add emotional nuance and texture to text-based, screen-mediated interactions. They introduce a whole new dimension to digital communication, and they play on some subtle psychological preferences. Researchers have found that the human brain responds similarly when looking at a smiley face, an online emoticon, and a real human face. Another study found that the addition of an emoticon to food labels is more appealing to customers than bright, swirly colors. Emojis can bring in profits, too. Emojis are popular. They’re also easy to monetize. Messaging apps clear large profits by selling special packs of emojis. Emoji sales are a major revenue stream for Line Inc., the popular messaging app, which sells packs of 20-40 emojis and stickers for $1.99. And Line’s Creators Market, which allows users to design their own stickers, generated $75 million in the first year of its launch. Even niche emoji products can be lucrative. Some friends who made emoji masks as a side project pulled in $51,000 in its first two months. Emojis are not universal. They need localization, too. Emojis are pictures. But they do not form a universal language. People from different cultures use emojis in very distinct ways. SwiftKey has analyzed more than a billion emoji, used by speakers of 16 different languages. They found radically different patterns of emoji usage from place to place. Emoji-senders in France, for example, use heart-shaped emojis four times more than users in other countries. Facebook discovered that the way Asians use emoji is not simply to express emotion. The context where the emoji is placed is also important. For example, a face on a beach with the sun glaring means they are happy, but not that they are attending to beach. In US, however, only the emotion of the face on the emoji matters, not surroundings. So more explicit tone of emoji is needed in Western context. There have also been petitions for emojis that are more diverse in terms of ethnicity, gender, and sexuality. How messaging apps localized emoji—and monetized more. Asia’s leading messaging apps—including WeChat, Line, and KakaoTalk—have done a brilliant job localizing emojis for the global audience (and, in particular, for Western audiences). In doing so, they expanded the emoji market and generated higher monetization potential. The messaging app Line started in Japan, the home of the emoji, and it has been especially effective at leveraging the power of emojis to generate revenue worldwide. People talk about the things they encounter day-to-day—which include local brands and logos. Converting brand symbols to emojis can be a quick way to drive local emoji usage, and to form profitable collaborations with local partners. In Line’s partnership programs, local brands collaborate with Line, creating two different kinds of promotion stickers. Sponsored Stickers are tailored to a brand’s distinctive look. These stickers are distributed for free, in order to increase brand recognition. Must Buy Stickers are designed to promote sales. When customers purchase merchandise, they receive a dedicated serial number. They can then use this number to download exclusive Line stickers. Line has formed partnerships with some leading global brands, including BuzzFeed, Burberry and the NBA. More than anyone else, local artists know the kinds of images that resonate with people in their communities. As a result, Line has worked hard to build relationships with artists through Line Creators. Here’s how it works: any local artist—amateur or professional—can register on the creators’ market using a Line account. She can upload her own sticker designs and sell them on the Line Store immediately. The artists make money and expose their art to Line’s 205 million monthly active users. And Line gets interesting, localized sticker designs. Line has not disclosed much information about the market’s top sellers. But it has said that the makers of the ten top-selling individual stickers earn, on average, JPY 50.5 million (approximately $421,000). Many creators have multiple sticker sets for sale; from that group, the top ten overall sellers earned an average of JPY 109 million (or $909,000). In many markets, users aren’t familiar with emojis. It’s a new kind of communication for them. Line has made concentrated efforts, online and off, to educate users in new markets about emojis. In Spain, for example, Line produced some TVC about using emojis to express emotions. Offline, Line has developed everything from cartoon characters to a pop-up store in Times Square, in New York City. In the store, Line sells branded merchandise that features their cartoon characters. They’ve also collaborated with local brands in order to develop higher-impact marketing campaigns. For example, in Hong Kong this past summer, Line and Ocean Park, a resort and theme park, got together in order to throw a Line-themed water party, and Ocean Park offered promotions through Line’s messaging platform. In the United States market, Whatsapp, Facebook, and other messaging apps dominate the market. Instead of just directly competing with these established giants, Line has also found an alternate way to establish a foothold in the market. With the latest version of iOS, which allows keyboard customization, Line has split its emoji functions from the main app. American users can download Line’s emoji keyboard, which includes Line’s cartoon friends. With the keyboard, users can send Line stickers to their friends through other messaging apps, allowing Line to have a presence even in a saturated market. Other messaging apps have found their own ways to localize emojis. One of the most common tactics is customization. For example, the Chinese chat app WeChat launched an app called MojiMe, which lets users turn a selfie into a customized sticker. Slack, the business communication app, has integrated emojis into its platform, and allows users to customize their emoji reactions to fit their distinctive company cultures. As the global rise of emoji illustrates, localization is about a lot more than translating text. It’s about building adaptable tools that can fit into new cultures and form partnerships around the world. 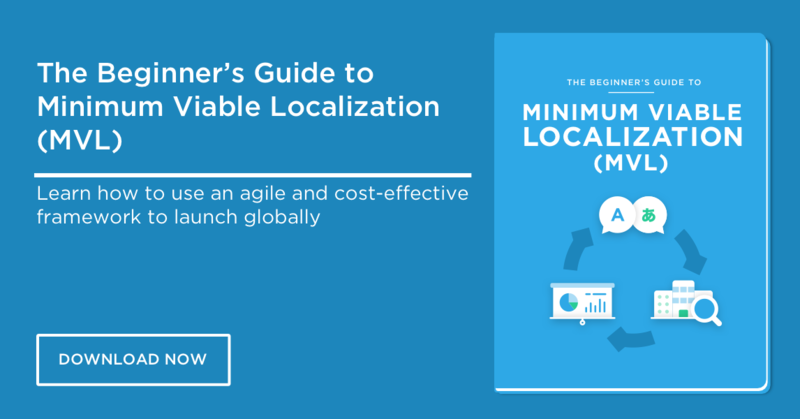 Don’t miss out on localization resources and tips! Subscribe to our newsletter to learn the best ways to go global. This entry was posted in App Localization, Unicorns. Bookmark the permalink. you can not sell your stickers on any IM apps directly till now.